Wow, what a weekend. 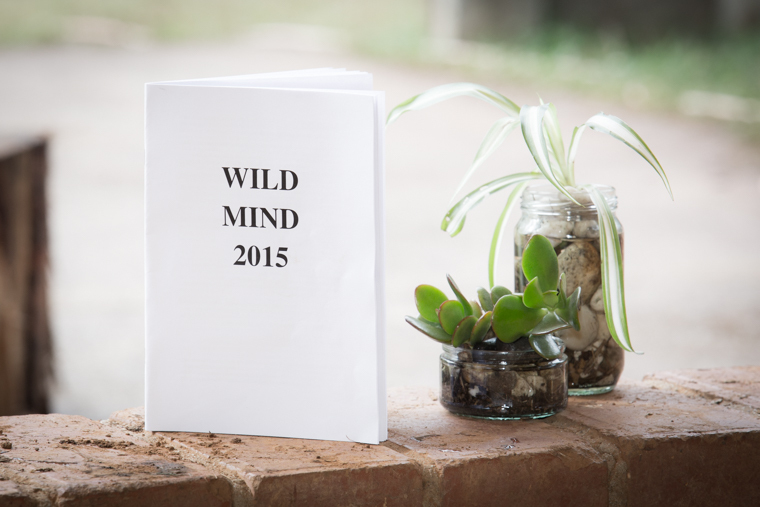 Last year’s Wild Mind was a transformational experience for me so my expectations were running fairly high for this one. As the day drew closer, I began to get a sense of exactly who would be there and my excitement levels rose and rose. It was looking like an impressive bunch of folk, not just for their skill and talents but for their big hearts and courageous ideas. Something about having all those conscious, open minded people in one place at one time, inspires your heart to open no matter how much you want to resist. The emotional core for me was a two hour conversation about shame. It was beautifully, courageously facilitated, blending individual stories of shame (led by the facilitator and drawn from the group) with a more intellectual conversation about the role of shame and how to handle it. We started by talking about how we each define shame. “Shame is born of our relationships and can only be healed in relationship, even if it is through our relationship with our self.” is one that has stuck in my mind. My own definition was based on a recent experience of psychodrama where I discovered that my sense of shame obscured my vision and the object of shame turned out to be something of a gateway to transformation and wholeness. There was good consensus in the group about the need to hold ourselves with compassion in the experience of shame. People used a variety of different words to describe a similar process of observing our feeling of shame with compassion. I use the words ‘large self’ and ‘small self’ (where the ‘small self’ is not inferior but inspires me to give myself the compassion I would give my son in the same situation). Others used the word ‘home’ to describe their large self and avoided giving a label to the self that experiences shame. There was a profound insight for me in the observation by one group member that ‘shame’ and ‘vulnerability’ are adult words that most children don’t understand, including the child in us. Vulnerability is a wound that stands in the way of our self expression but to get past the wound we must express the feelings of the child we were when the wounding took place. That might require us to find a simpler language to describe our feelings of vulnerability. For example rather than saying “I feel vulnerable” saying “I feel scared of saying how I feel because I worry that you might not talk to me anymore.” This takes more courage but when I used it with my partner later that evening I found she was much more able to offer me the compassion I was craving and I was more able to identify my feelings. Even the fact of talking about shame seemed to inspire feelings of shame within the group. At the end of the conversation there was some lengthy discussion about how to ‘end the session’ without ‘leaving people in shame.’ Some of the suggestions seemed to indicate a desire to make everyone feel better which really jarred with me (I being one of those who had opened up a raw experience). It’s quite hard for me to allow myself to feel so raw and I was wary of shutting myself down when I was surrounded by such a loving community. I knew that if we closed the circle I would be able to keep processing and possibly release something powerful. In the end we agreed to sing together, a song about light shining on us, not fixing or healing, just shining. Fox walking with Maya Ward was another highlight. I spent the evening further processing the experience with fellow Wild Minders, dancing to gentle music and participating in cuddle puddles. 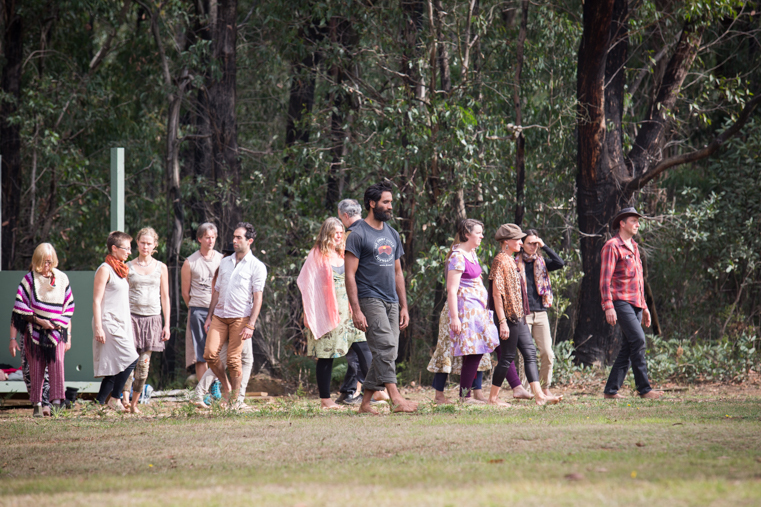 I am deeply grateful to all at Wild Mind for cocreating such a beautiful space for our mutual unfolding.